Brown_12_Envelopes_-_4_34_x_11 is rated 4.9 out of 5 by 14. Rated 5 out of 5 by Dawne64 from Quick shipping The envelopes are just what I needed and shipped quick. Rated 4 out of 5 by Stef Mailer from nicely handled bulk document mailings at postage weight only pricing For large and multi-page documents that can be folded. #12 envelopes help avoid envelope size postage premiums. Just weigth, stamp, and post. Rated 5 out of 5 by Happy D from Perfect size I was satisfied with speed of delivery and this is just the size of envelope I have been searching for. 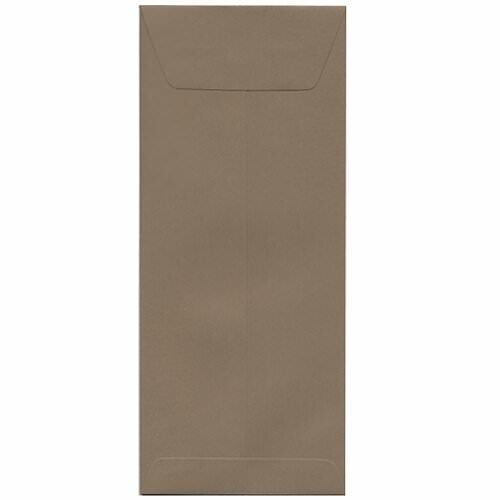 Rated 5 out of 5 by Lifebuilder from JAM Brown Kraft envelope I have used this product for events a few times and it always comes to me as a quality product. Rated 5 out of 5 by joeejr from Top Notch Just what the doctor ordered envlopes are perfect and work great. Rated 5 out of 5 by Fton from Excellent product High quality envelopes delivered quickly at an unbeatable price. USA made. Rated 5 out of 5 by MJ69 from Strong Shipped fast! Good price. Quality envelope. Thanks! Rated 5 out of 5 by cwforsyth from Good quality envelopes. I couldn't find this size of envelope any where else. What great service. It only took 5 days to be delivered with just the standard shipping. It would be roughly $8 to Newfield, NJ. Unfortunately we do not have any other #12 kraft envelopes without a gum adhesive. Sorry for the inconvenience. So Jim from The Office, acting like Dwight from The Office, said that black bear is best. Here at JAM we totally disagree. We choose brown bear. And Dwight has no say because he's already screaming "MICHAEL!" If you have absolutely no idea what that reference is, even if you do watch The Office, we have another way to grab your attention in order to buy these envelopes. You know why we chose brown bear? Because brown is a super awesome color!! You know why else? Because brown bears totally rock the Tri State area, where we're located. But mainly because we want you to buy these brown envelopes for your next hiking trip. You didn't know?! It's a great weapon when you come upon a brown bear! Here’s what you do: Slowly put down one of these envelopes (with a note inside that says - in bear language of course - that you're sorry for intruding), slowly back up, and slowly walk away. Once they open the matching brown envelope, you may hear a growl when, by this time, you’re sprinting to your car. Don’t worry, that growl is bear talk for thank you. We just saved you from a bear attack. You’re welcome. Brown #12 Envelopes measure 4 3/4 x 11. #12 Policy available in Chocolate Brown 100% Recycled, Brown Kraft Paper Bag 100% Recycled, and Simpson Brown Kraft Recycled. #12 Commercial available in Brown Kraft Manilla.